Every once in a while our nation produces someone who exemplifies the best that the United States has to offer. Someone who, despite any personal failings, demonstrates the true meaning of heroism, sacrifice, and public service. Such a man was John McCain. His life story is fairly well known. Born in 1936 in the Canal Zone to a Navy officer. Graduated from the Naval Academy in 1958. Flew missions in Vietnam, receiving the Navy Commendation Medal and the Bronze Star. Shot down on October 26, 1967 and held prisoner -- tortured, beaten, and kept in solitary confinement for two years -- until March 14, 1973. Served in the House from 1982 to 1986, in the Senate ever since. These items are nothing new, nothing that rare. What is rare, though, is something not often seen in American politics: true conviction. Granted, there were times when his official actions could be perceived as opportunistic or craven -- is is Washington, after all, where the official religion is the Cult of Gimme -- but more often than not Senator McCain was a conservative Republican who actually walked the walk, and he was not the least bit shy about telling party leaders to shove it when he felt it was called for. It is pretty obvious that we at the Blowhard Pundit disagreed with the Senator on many issues. There were times that we felt he was on the wrong side of history, or that he was misinformed about a particular subject. A few times (very few) we actually agreed with his stances on policy issues. Regardless of whether or not we agreed with him, we never felt compelled to accuse him of being blindly partisan, and we always suspected, if not knew, his positions were principled. 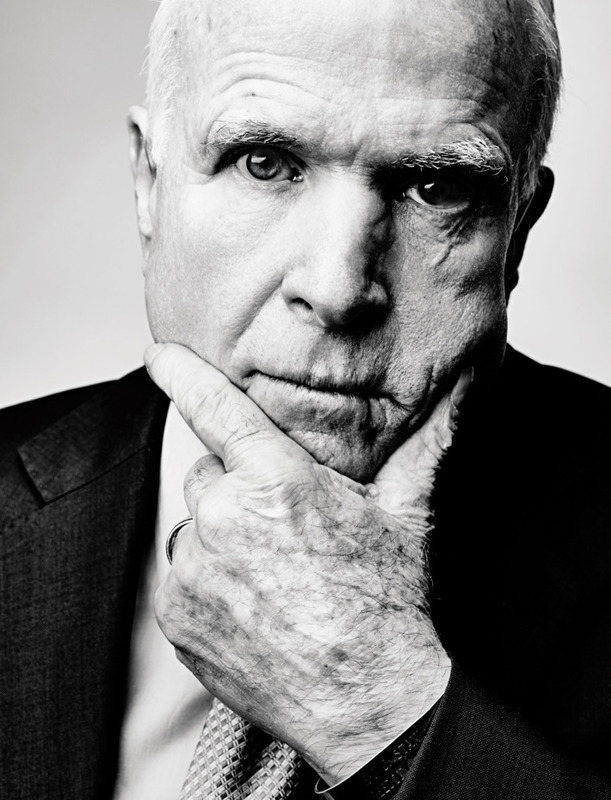 John McCain represented the ideals for which all of us have striven at one point or another. Integrity. Courage. Determination. Sheer endurance. Patriotism. He was a giant among men, and will go down in history as one of the good ones. Senator, you cast a long shadow. You will be missed, but the United States is a better place thanks to your service.